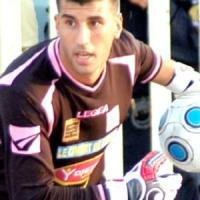 Lounès Gaouaoui is an Algerian football player who is currently playing for ASO Chlef. He is a goalkeeper known for spectacular leaping abilities. He was a member of the Algerian national team that lost in the quarter-finals at the 2004 African Cup of Nations. He was until recently Algeria's first-choice goalkeeper but an attack of appendicitis forced him to miss his country's World Cup qualification playoff against Egypt and the 2010 African Cup of Nations which both saw Faouzi Chaouchi replace him. He is however still hopeful of regaining his spot as No.1 for the 2010 FIFA World Cup Finals. His name is believed to be the only surname with seven vowels in a row, reported by the International Board of Statistics. This ever-spectacular 'keeper was Algeria's first choice for almost all of the World Cup qualifying campaign, only missing the play-off because of suspension. A severe bout of appendicitis and a subsequent operation prevented him taking part in this year's African Nations Cup, but he should be fit and well when the biggest event of them all kicks off. A full international for the past nine years, Gaouaoui has been Algeria's undisputed number one since 2004. His glory days at club level were spent at JS Kabylie, where he won two domestic league titles (2004 and 2006) and the pan-African CAF Cup on three occasions (2000, 2001 and 2002). "The USA, Slovenia and especially England make for a very hard World Cup group," accepts Gaouaoui. "However, why shouldn't we aim for second place?"